The aim of its presence is to demonstrate the value of the activities carried out in the Galician countryside, and its possibilities as a tourist attraction through the voice of the entrepreneurs that contribute to its development and make proximity products of high gastronomic value. 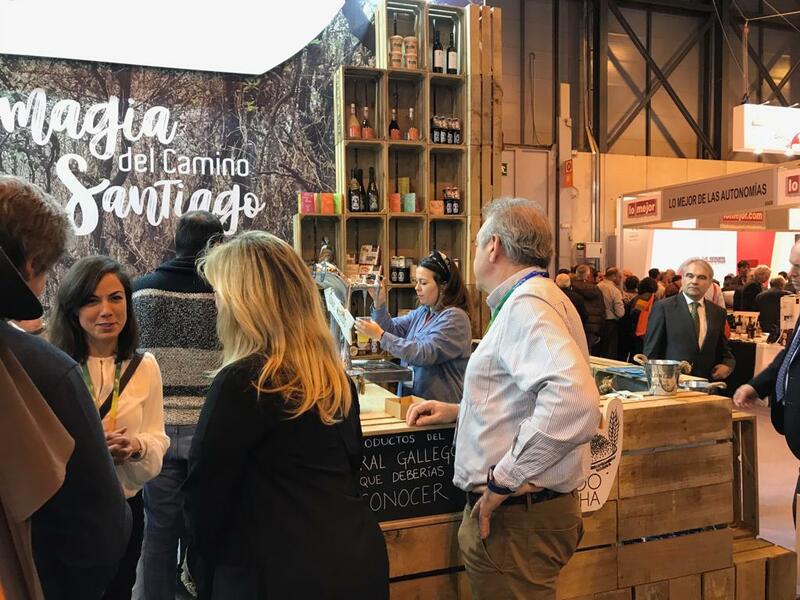 The Mercado de la Cosecha has begun the year by travelling to FITUR with the aim of showing the value of the Galician countryside from a different perspective. Twelve producers present their proposals within the frame of this tourism macro-event in an attempt to make their activity and products known, hence enabling visitors to see the potential of our countryside and wealth in terms of gastronomy and tourism from a different perspective. From 23 to 27 January, the Mercado de la Cosecha will be have its own space within the Pilgrim stand, the company that sponsors the Camino de Santiago at FITUR, and visitors will have the opportunity to discover the story and the products behind a series of successful rural initiatives, as is the case of the Cortes de Muar cheeses and Arqueixal, the Mariñeiras biscuits by Daveiga, Maeloc ciders, the yogurts by Casa Grande de Xanceda, Amorodo jams, Naiciña chestnuts, the honey by Abella Lupa, the vegetable preserves by Milhulloa, Orballo spices and teas, and the Ponte da Boga wines. Our corporate social responsibility project tries to contribute to the socio-economic development of the Galician countryside by highlighting the activities carried out by the entrepreneurs that have chosen the countryside as a way of life, generating wealth in this area. The presence in FITUR is one of the many activities throughout the year that aims to give visibility to the work of these producers by giving them platforms from where they can share their success. FITUR is the largest tourism fair in Europe with 886 main exhibitors, and over 10,487 companies from over 165 countries and regions. Over 250,000 visitors are expected this year.